Metaphysics and Conscious Creation. Welcome to a world of extraordinary views. Cat Clones due in March. Via China. Mysterious Universe. Asking $: 55 thousand per. Meet Ayda. Discover why a Hazmat suit is needed to move this (very haunted) Doll. Destination America. Visit her at the Museum of Shadows in Nebraska. Guinness Book trivia: Record for setting up a 2 person tent. Owned by a Wyoming couple. (Just over a minute) Requirement that added time? Must finish INSIDE the tent. Reported 2019 Food trend: Bugs. USA Today. Apparently a holdover. As noted by Today's Dietician, bugs were trending for 2018. Optimistic view - might kick in by 2025. The more palatable Mediterranean Diet is a 2019 winner. CNN. Citing Suzy Hansen, Director of UFOCUS New Zealand. Pattern with UFO sightings suggests a relationship to seismic events. Source. Heartwarming - Group rescue of Jake the Dog from the subway. Gothamist. Legendary Remote Viewer Pat Price shook things up a bit when he showed up one day with a tidbit about a discovery he found in his spare time. Curious if there were any UFO bases on the planet, he explored - and found 4. Remote Viewer Paul Smith shares that story (and the location of the bases) with Jeffrey Mishlove. New Thinking Allowed with Jeffrey Mishlove: YouTube. Referenced in their conversation: Incredible Coincidence by Alan Vaughan/Amazon. - "Alan Vaughan has compiled more than 150 actual case histories to prove that there is more to incredible coincidence than meets the eye: -- A woman in Berkeley, California, is locked out of her house; the postman walks up, holding a letter from her brother... inside is a spare key." Interested in learning or improving your Remote Viewing skills? 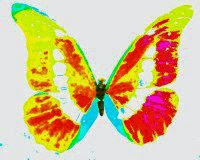 Kansas City Remote Viewer Margie Kay is offering a 2 day seminar, March 2 and 3. Independence, MO. 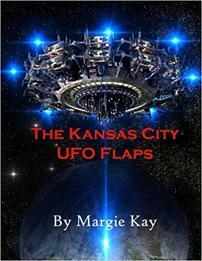 Margie Kay is also a Paranormal and UFO Investigator, and author of several books, including The Kansas City UFO Flaps (2017). Focusing on the nationally covered 2011 - 2012 flap, and infamous Kansas City Lights, Margie presents her theory as to why Kansas City has so many unexplained events. We talk about one of the most intriguing UFO cases from the book, regarding a contactee who gained healing abilities. That case is ongoing. Margie Kay details the first time she attempted to Remote View a suspected abduction case, sending her consciousness to the location to see if she could gather information that might be helpful. Indeed, her information helped locate the victim and produced a successful rescue in the nick of time. To book Margie Kay for an event, contact her via her Website. Conscious Living with Wendy Garrett is produced by Empower Radio and featured on empoweradio, iheart, itunes, stitcher and various independent youtube channels. Programs cover a wide range of Mind-Body-Spirit/Alternative Awareness/PSI topics, including: Consciousness, UFO, Metaphysics, Paranormal and Energy Medicine. Ongoing personal experiences with extraordinary and unexplained seen/unseen phenomena underscore my belief in a world abundant with wonders we haven't yet begun to fathom. Experiencers, via their unique encounters, give us glimpses and clues to what potentials creation has yet to reveal when we are willing to listen to the call of the muse and curious enough to table our fear and explore the unknown inner and outer limits of being. And the answers are there, teasing us in quirks, quarks and fantastic anomalies. My proof - and that is the whole point of this reality thing being very personal and unique to the individual experiencer - the light beside me goes off for a moment and then comes on again as I am composing this introduction, underscoring the "quirk" factor and the representation of the ever-present, unseen support in this adventure. Sample Wendy's Coffeehouse on KCMO Talk Radio in Kansas City. A home for the curious. Follow the blog. 'Final Offer', links, UFOs and What kind of Star shoots out red bursts at you? I wondered.